There are many fish soup stalls in Singapore but hardly do you find one that sell Giant Grouper Fish Soup. The fish can grow up to as big as 500kg but I think those commonly make it to the dining table is around 100-200kg. 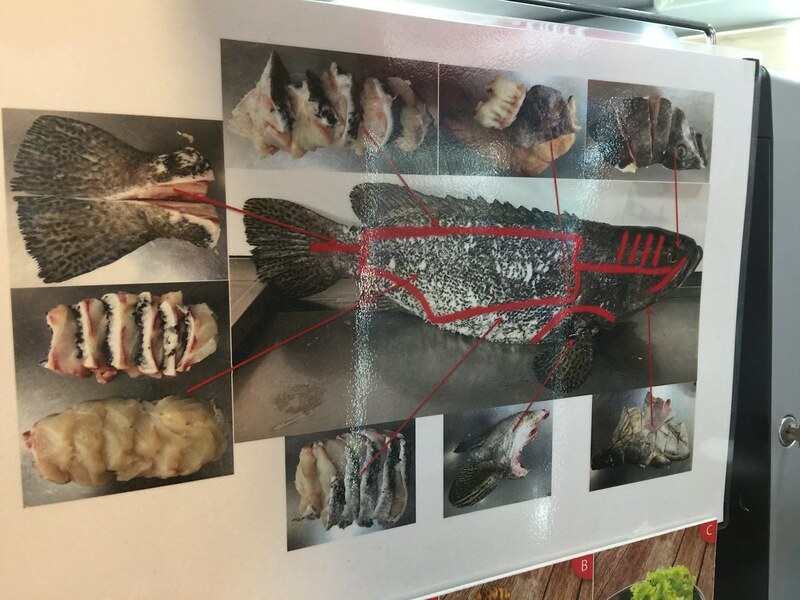 The best part is that almost every part of the giant grouper can be eaten, provided you know how to appreciate it. If you adventurous to try it, then you should check out SZ Kitchen @ Cafe (小珍私房菜) at Gek Poh Shopping Centre. 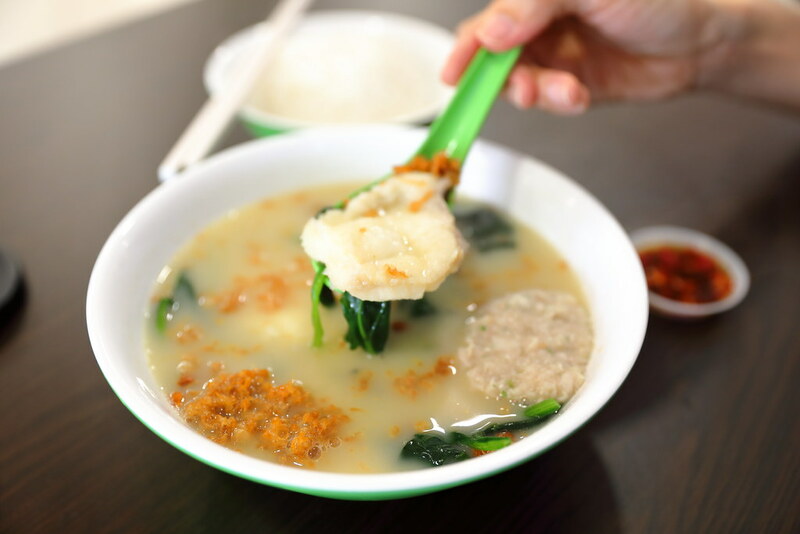 The pricing of the Giant Grouper Fish Soup varies, depending on which parts of the giant grouper you want to try. I try the Giant Grouper Fish Soup ($18) that comes with the slices of the fish meat, fish stomach and fish liver. The Giant Grouper Fish Soup is not the clear soup base type. It has a creamy consistency with a slight herbal taste that is lifted with the addition of Chinese wine. Hence this may not be suitable for children to eat. Besides that, it also comes with fried egg and a piece of minced meat. The fish meat itself is firm with a slight bouncy texture. 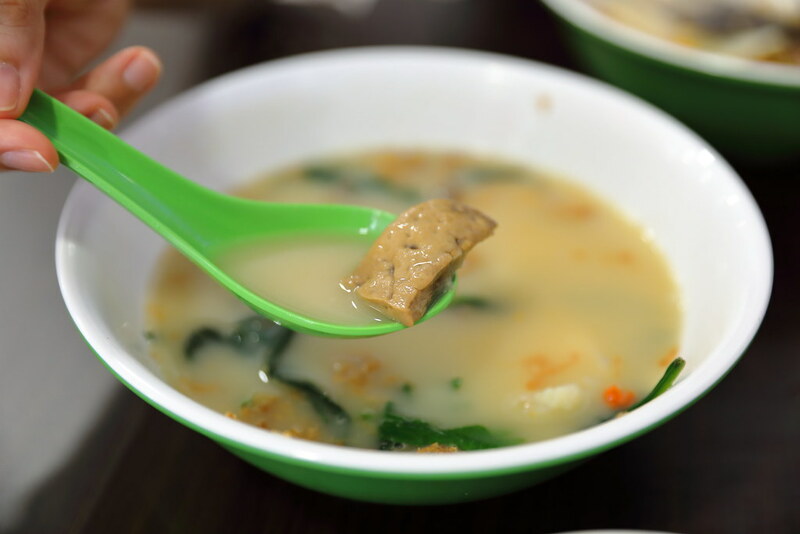 You can also find the fish skin in the soup which is packed with collagen. The more exotic stuff in the fish soup is the Giant Grouper Stomach and Liver. I would say that the fish stomach is so what similar to those pig intestine but thicker, with a firmer and more crunchy texture. As for the fish liver, its really like the pig liver. 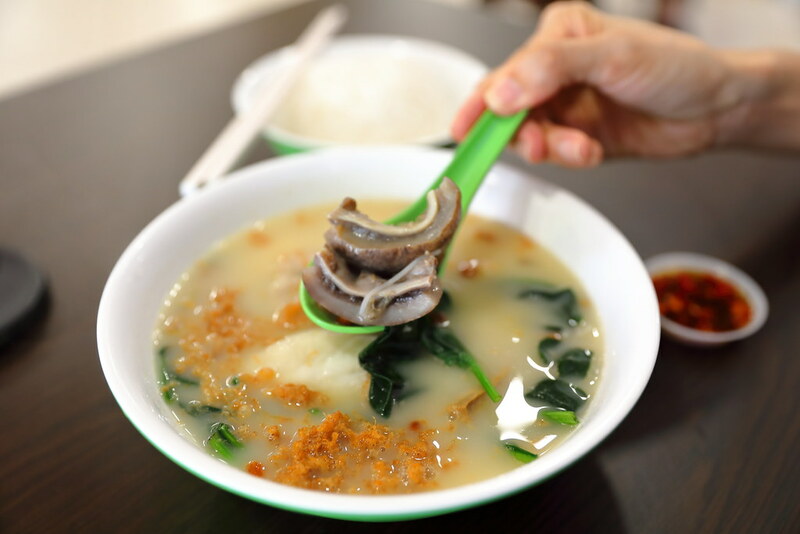 If you find that the Giant Grouper Fish Soup is not for you, the stall also offers the usual Batang Fish Slice Soup. 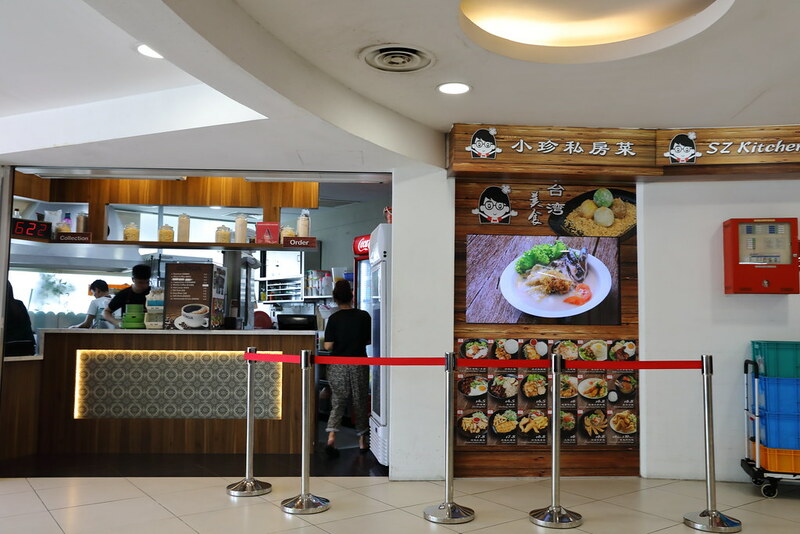 On top of that, it also sells a variety of dishes ranging from rice to noodles that is reasonable priced. 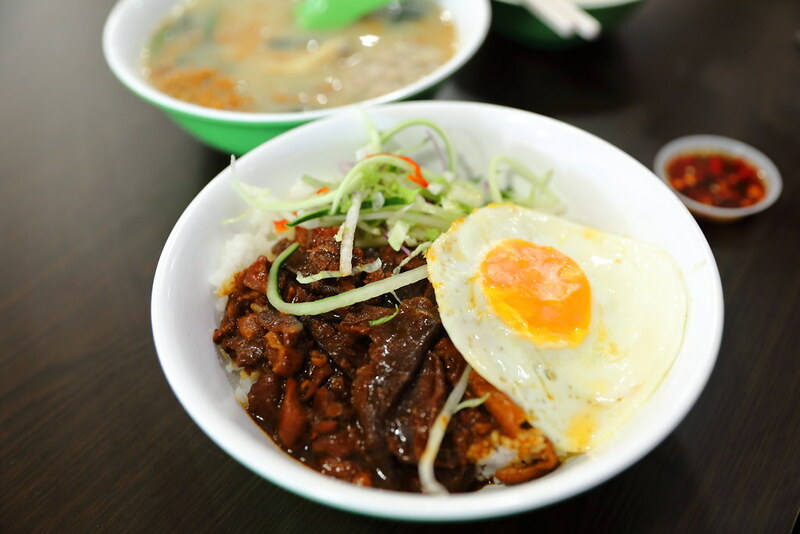 The Zha Jiang Rice ($4.50) comes with braised pork, a fried egg and shredded cucumber. Not fancy just a hearty and comforting bowl of rice that will satisfy one's hunger. For the price, this is really wallet friendly to settle one's meal. Guess this will my last visit to SZ Kitchen located in Gek Poh Shopping Centre. Saw with my own eyes the kitchen staff squeezed dry a kitchen table cloth into a pot of water and the same pot of water was poured to a bigger pot for cooking. Yucky. So so disappointed.